The program is free and open to the public but registration is required. Refreshments will be served at the reception following the lecture. Parking is free but limited. Plan to arrive early. The parking lot will fill. Thomas Lake was a man of profound religious faith, a man dedicated to knowledge, understanding, and the power of faith and giving to bring about real change in communities. Through events such as the annual Thomas H. Lake Lecture, the Institute engages the community in thoughtful discussions about philanthropy and religion. Christian Smith is the William R. Kenan, Jr. Professor of Sociology and Director of the Center for the Study of Religion and Society at the University of Notre Dame. Smith's research focuses primarily on religion in modernity, adolescents, American evangelicalism, and culture. 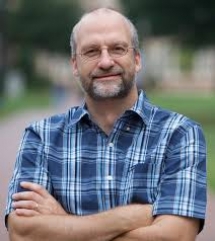 Smith received his MA and PhD from Harvard University in 1990 and his BA from Gordon College in 1983. Smith was a Professor of Sociology at the University of North Carolina at Chapel Hill for 12 years before his move to Notre Dame. Learn more about Christian Smith under the speakers tab. Learn more about the panelists under the speaker tab.